Baahubali 2 the biggest release of this year in Indian cinema and the most expected Sequel has finally released. After a blockbuster first part, the expectation for Baahubali 2 movie reached great heights. Did the movie manage the hype? Let’s see the review of Baahubali 2. Baahubali 2 ‘s biggest challenge is to engage the audience who has already known the story plot to an extent from the first part but SS Rajamouli does it with ease. The Story is how a sibling rivalry affected a Royal Empire. The story as a whole is simple and is easily guessable at some parts but narration, Grandeur visuals and beautiful scenes which are crafted makes the film worthy and stands tall. Baahubali 2 has to be appreciated not just for the Visuals but it has a lot more in it, the hard work from the team is clearly evident on screen. The performance of the cast should be greatly appreciated. Prabhas has lived the character of Bahubali in two generations. Rana is a tough villain as expected. This time Anushka and Sathyaraj has a meatier role and they make the best use of that. Tamannah has the least role in the whole star cast. RamyaKrishnan and Naser shines as usual with their performance. The Background music is the biggest addition to the grandeur of the movie, the Songs was not that great but good. Regarding the technical aspect, the movies CG work was great but still was not good in some scenes. The Cinematography is undoubtedly magnificent. The choreography of action sequence needs a special mention, the action sequences are neatly crafted. But the final climax fight could have been better. 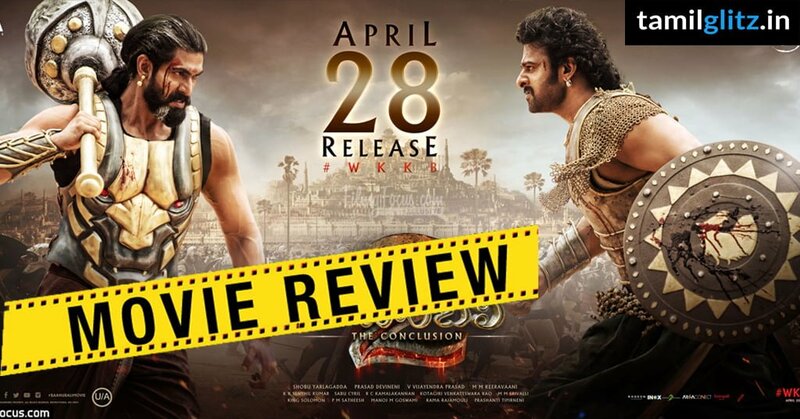 Verdict: Baahubali 2 – Undoubtedly Worth the Hype ! !